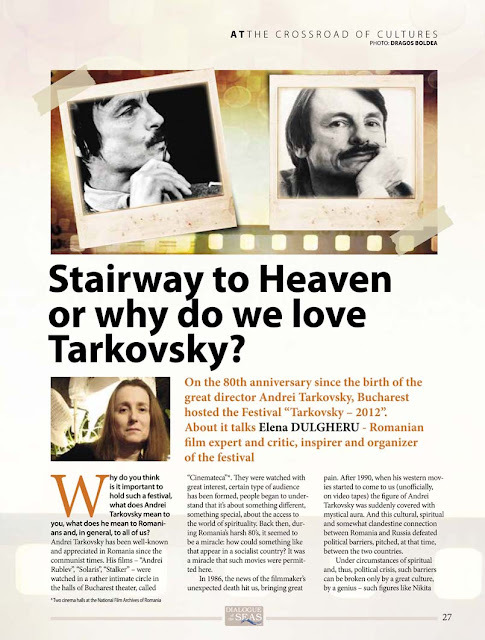 Elena Dulgheru EN: Stairway to Heaven or why do we love Tarkovsky? 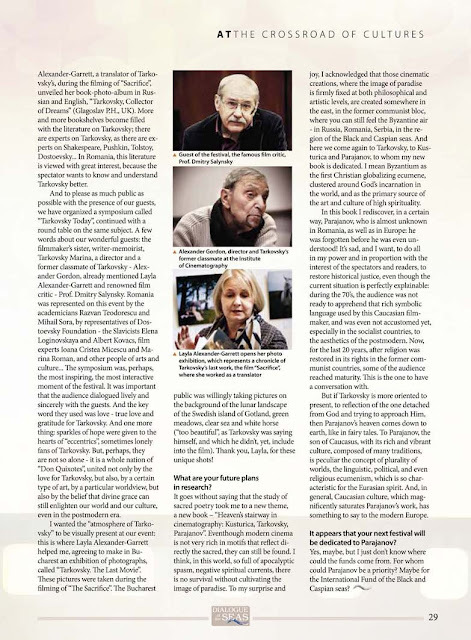 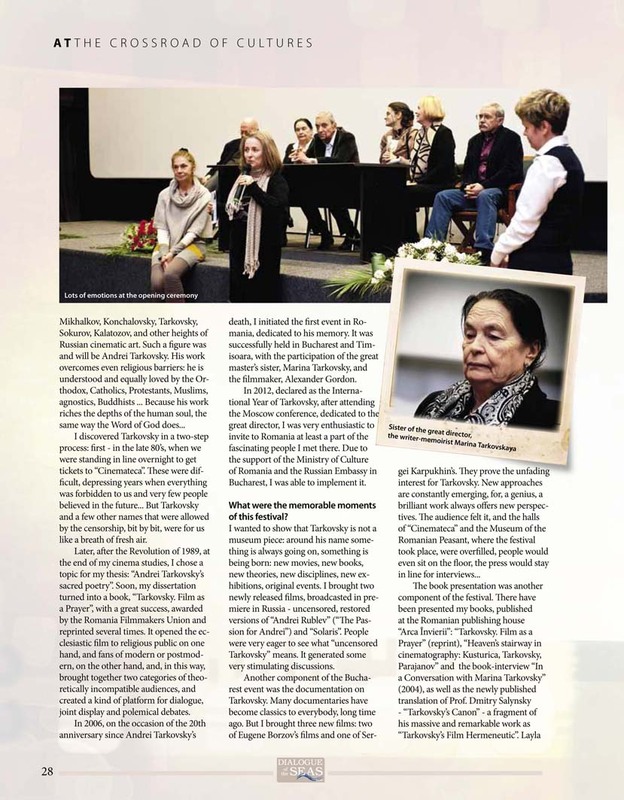 An interview with Elena Dulgheru about Tarkovsky Days in Bucharest (December 4 to 7, 2012 ), by Vyacheslav Samoshkin for Dialogue of the Seas, No. 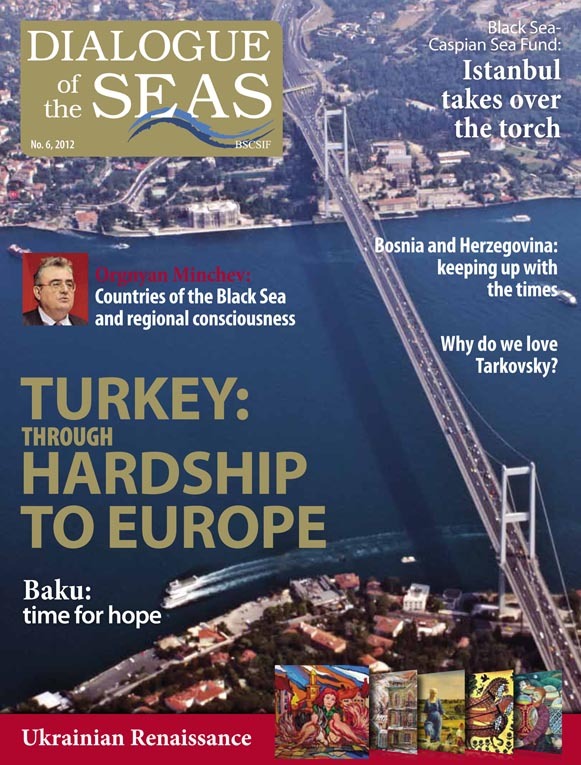 6/2012, the magazine of The International Fund For Cooperation and Partnership of the Black Sea and the Caspian Sea. Translation of the interview: Dialogue of the Seas magazine. More data on the same topic: http://elena-dulgheru-en.blogspot.ro/2013/01/tarkovsky-days-in-bucharest.html.